Eating and cooking Thai food has been a passion of Pimmy’s since she was a child. 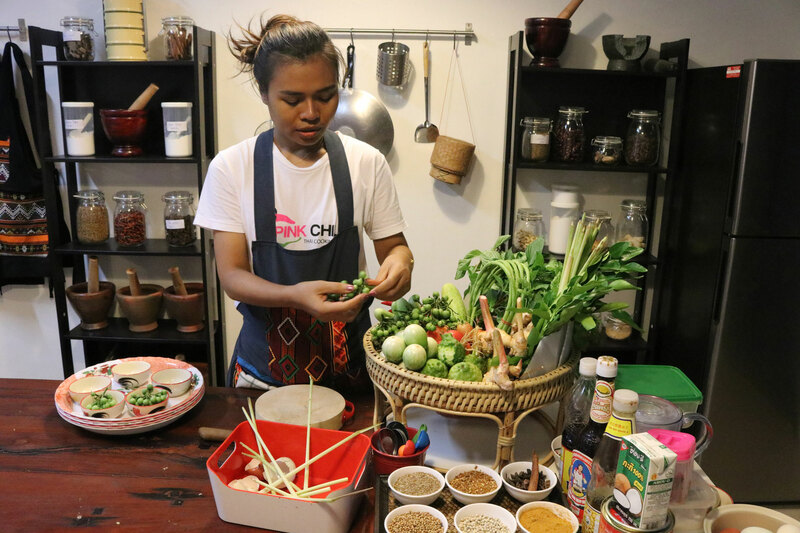 With the help of her family and specifically her mother, Pimmy honed her Thai cooking skills to become the successful chef she is today. 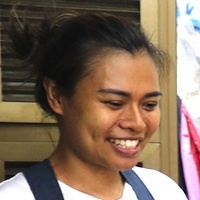 She attended university cooking classes for a short stint before becoming fed up with the easy course material, as all of the dishes she and her classmates were making were ones she had already mastered in her own kitchen. 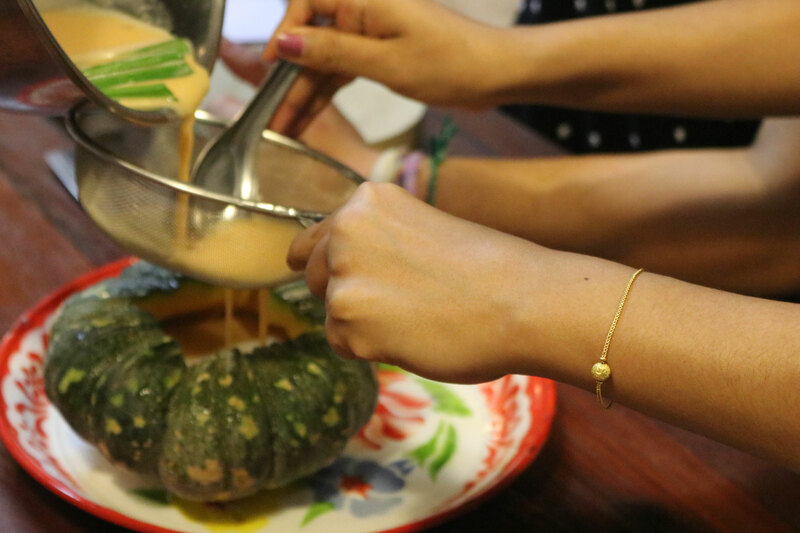 She loves working with people who share her same passion for food, which is why she decided to become a chef and teach cooking classes in the first place. 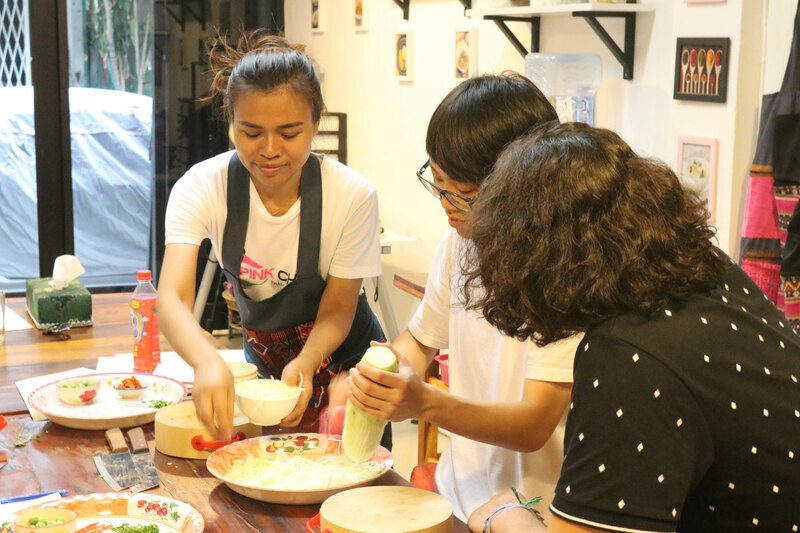 Sharing her delicious dishes with travelers from around the world is what she does best, as she takes each and every student on a Thai culinary journey in her home that also happens to doubles as a cooking school. 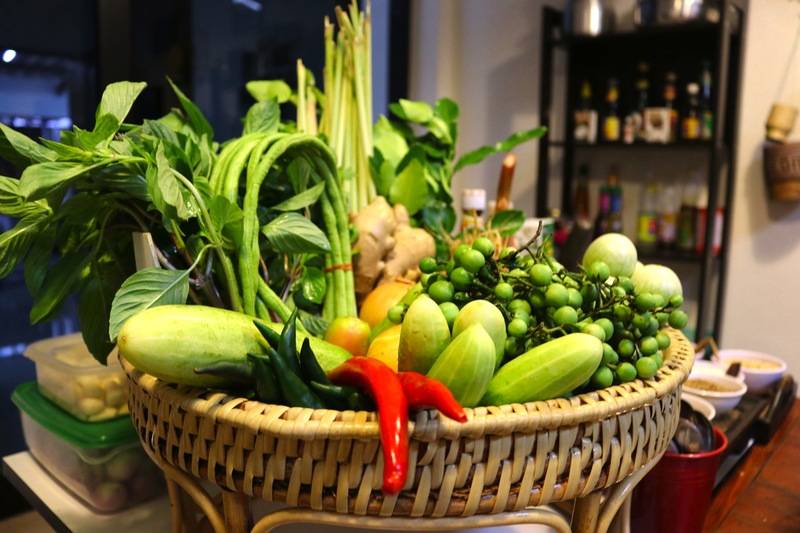 In-home meal: (1-5 guests) (1-5 guests) Pimmy lives in a quaint home in the center of Bangkok. Her house, which doubles as a cooking school, is large, accommodating, and comfortable. 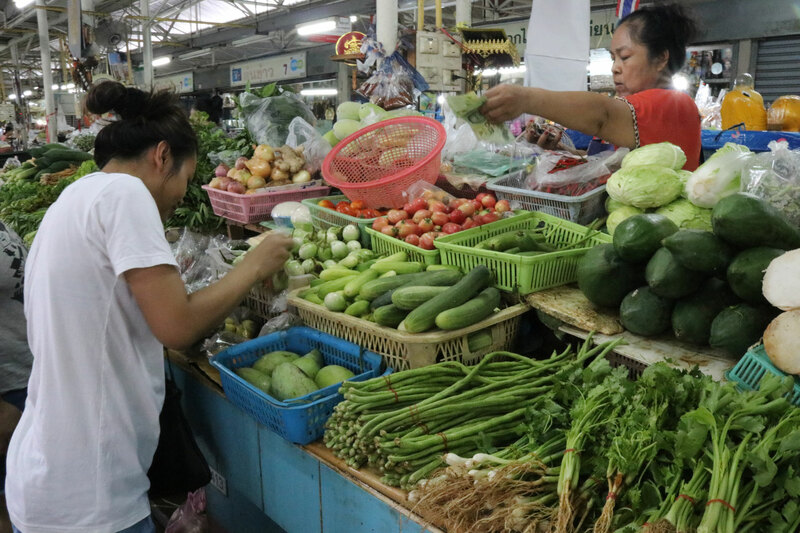 Be sure to bring your appetite as Pimmy prepares a four to five-course meal, which might include dishes including pad Thai, gaeng khiao wan (green curry), som tam (green papaya salad) and every sweet tooth’s favorite dish, khȃo nǐaw má-mûang, or mango with sticky rice. 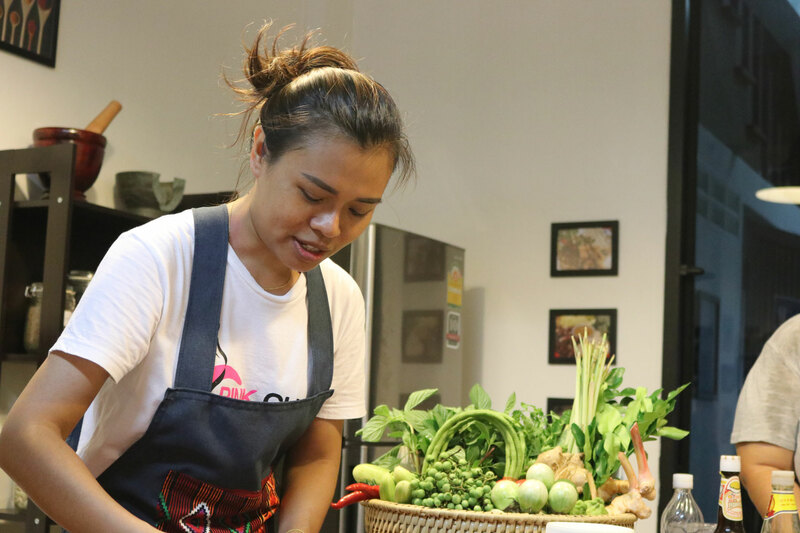 Cooking experience: (1-5 guests) (1-5 guests) With the help of Pimmy’s cooking expertise, you will be slicing and dicing ingredients as soon as you arrive at her home in the city center. 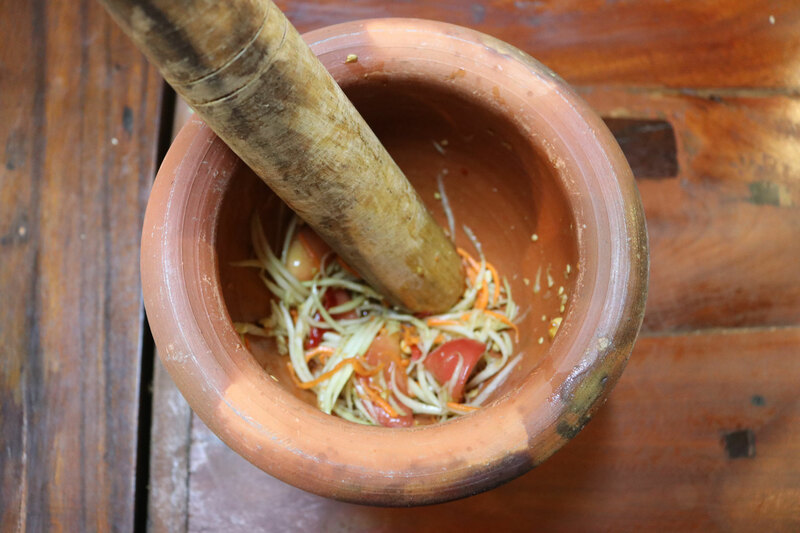 Her house doubles as a cooking school, so there is ample room for preparing ingredients and a number of woks at the ready for you to use and turn up the heat. Pimmy prepares a handful of necessary ingredients beforehand in order for you to cook both quickly and efficiently all the while learning how it is that each delicious dish is made. 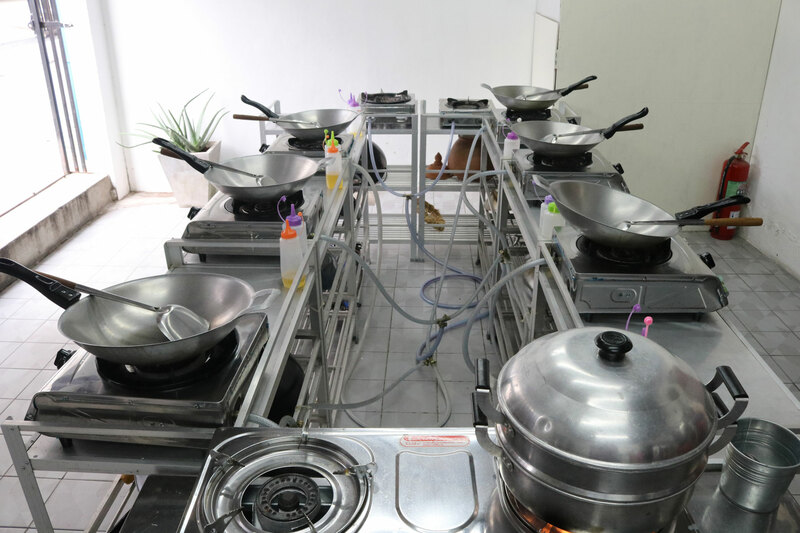 After preparing all of the ingredients in a large (and air conditioned) room, you will then take each future mouthwatering meal and make it on your very own wok. 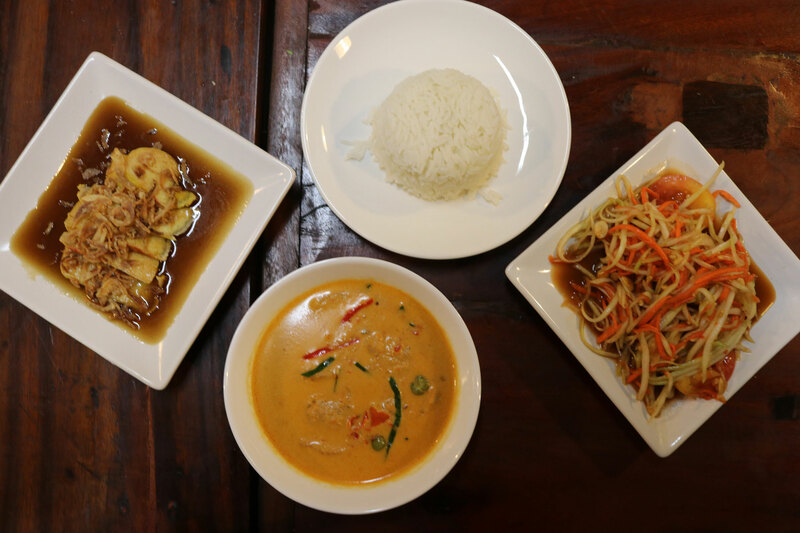 After preparing 3-4 dishes, you are finally ready to take off that apron and chow down on the delicious Thai cuisine you have prepared with Pimmy. 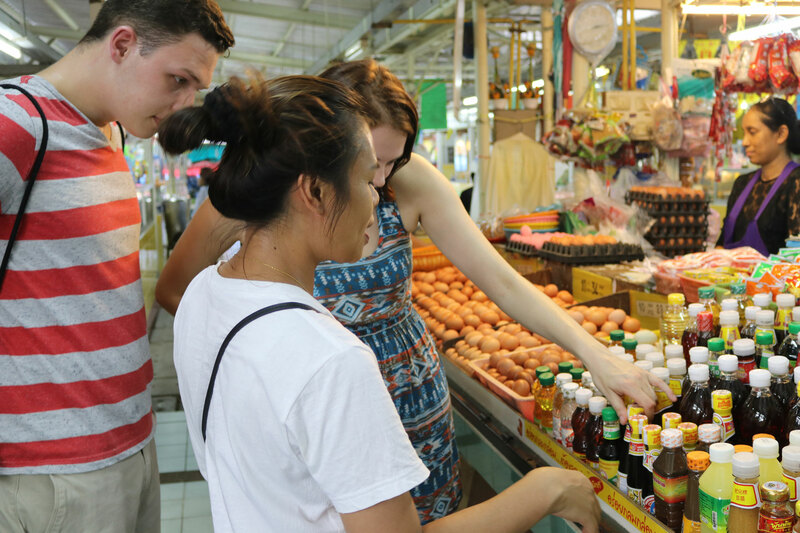 Market visit: (1-5 guests) (1-5 guests) Meet Pimmy at the BTS Skytrain station On Nut before heading out together to visit a local food market in downtown Bangkok. 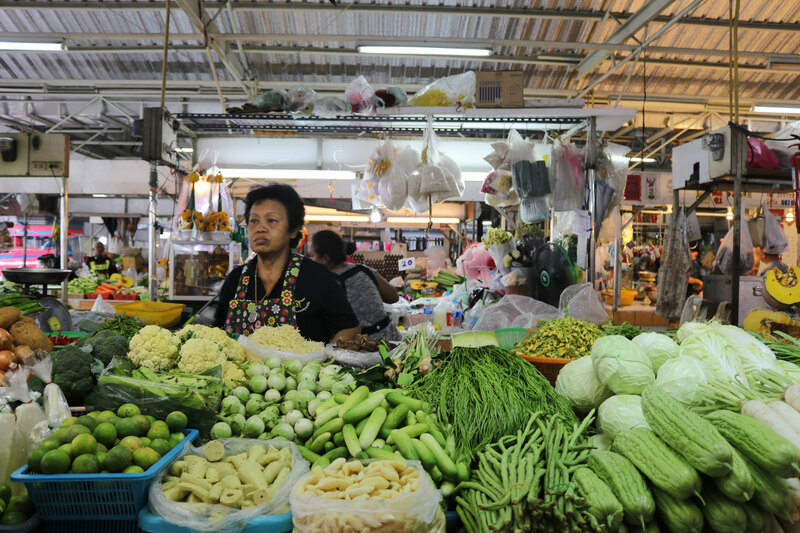 Small yet memorable, the On Nut fresh market is equipped with all of the unique Thai ingredients one needs to create Pimmy’s delicious menu. 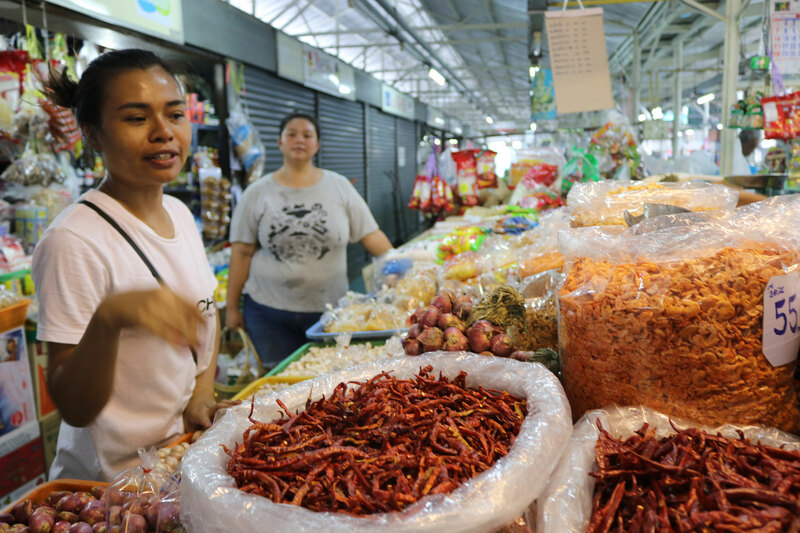 She takes you around to each vendor, all of whom are seemingly familiar faces to her, and explains what ingredients are best for each dish and why. 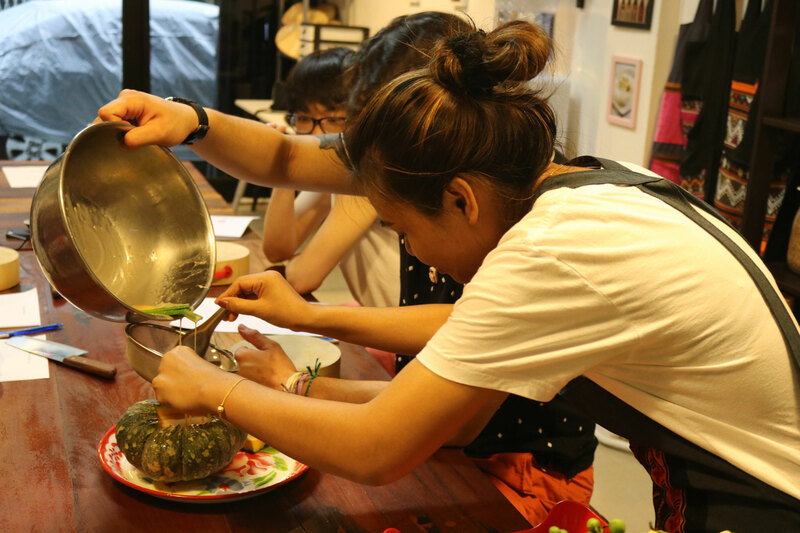 After gathering a good helping of fresh ingredients, you and Pimmy will return to her home equipped that also doubles as a cooking class space and learn to prepare these amazing dishes. Pimmy was a fun and welcoming host and provided guests with a great culinary experience. 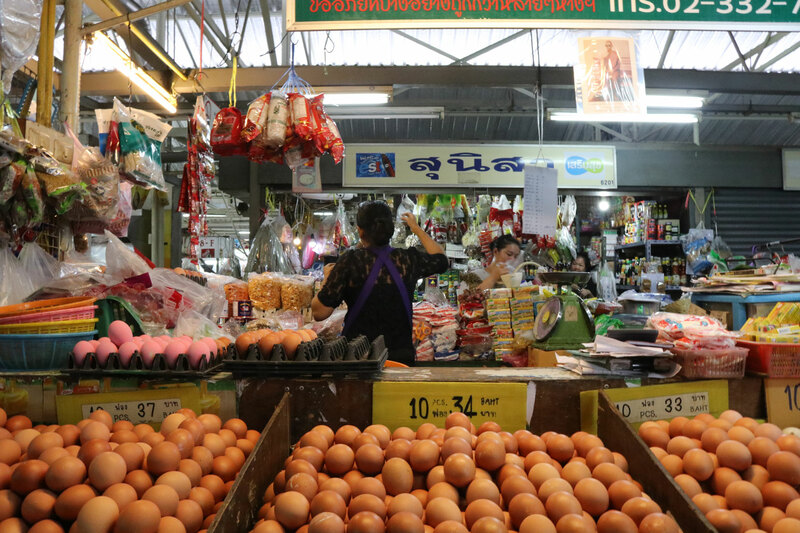 She picks you up right from the BTS Skytrain Station On Nut, making it super easy to navigate for travelers who have not ventured to Bangkok before. 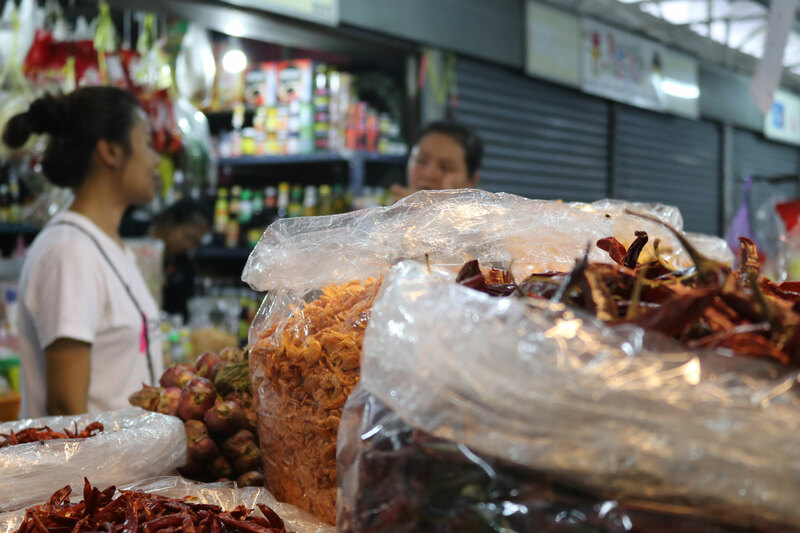 The market is small but the vendors were all super friendly and there were definitely some strange finds here, for example, live frogs. 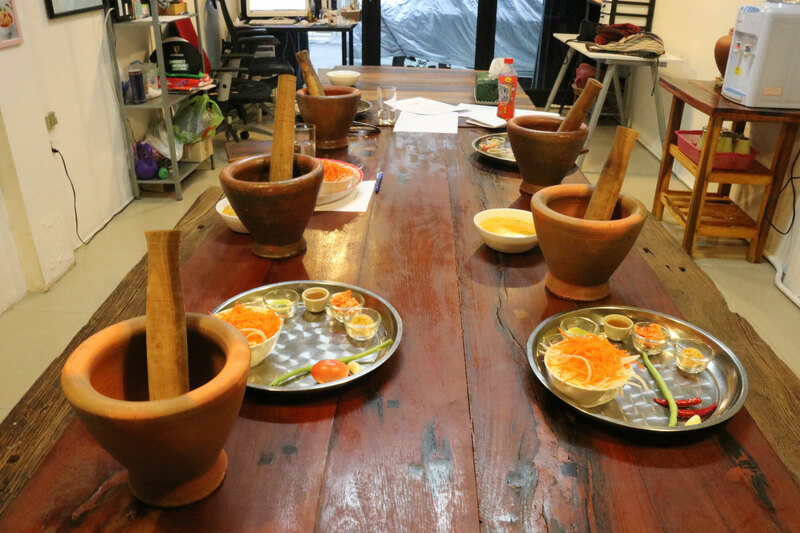 It is truly a unique experience to see first-hand where the ingredients are coming from before preparing the meals. 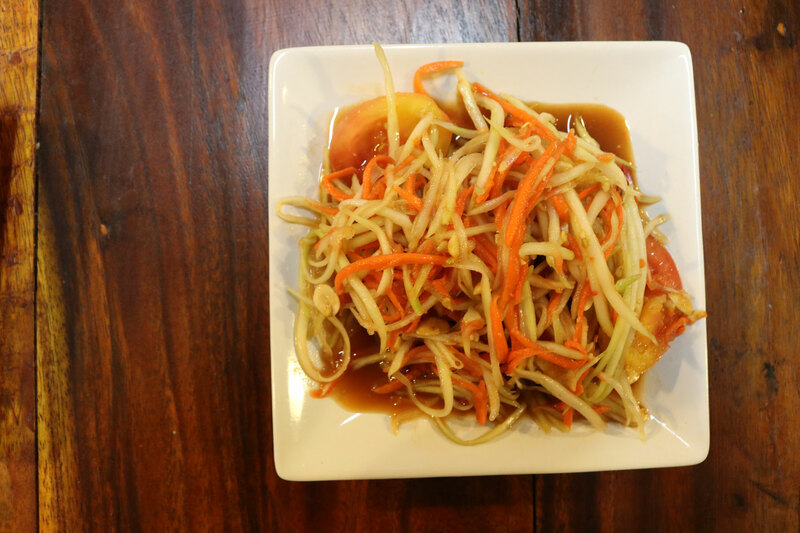 Once returning to her home, you create some of the most noteworthy Thai dishes the country has to offer, and even though I was so incredibly full, I managed to scrape all of my plates clean: the food was that good.